Seeing images and footage of the current protests in Hong Kong the past days sent shivers down my spine. It’s hard to fathom that just over a month ago, the same streets we were in with commuters going about their daily routine to and from work are the same ones teemed with thousands of people staying strong even when police issued tear gas and water sprays. Just like people, cities have two sides. Hong Kong to me is that chic, sophisticated no-nonsense woman who walks with a fast gait, always with a purpose. So I was determined to see any semblance of a ‘country bumpkin’ side to Hong Kong on my last visit. For those who can spare half a day to see this other side of Hong Kong, the journey takes approximately 90 minutes. From Central, take the MTR all the way to Tung Chung station. 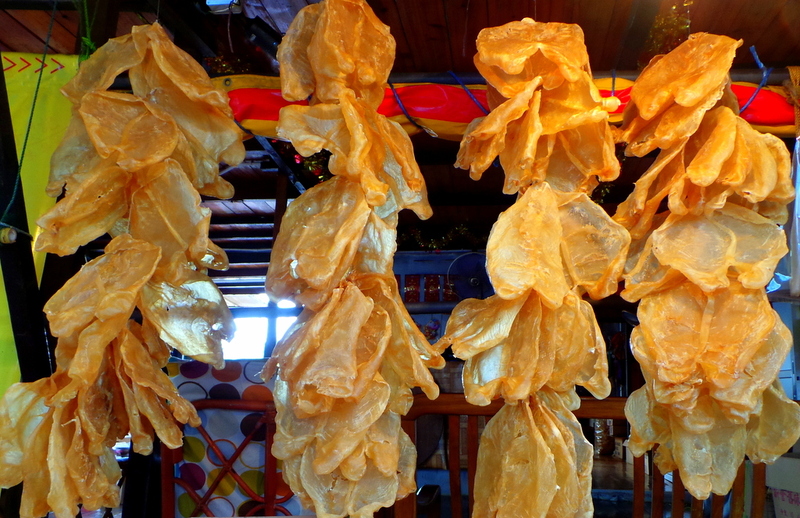 Then take bus route 11 to Tai O.
Tai O is one of Hong Kong’s remaining and oldest fishing villages. 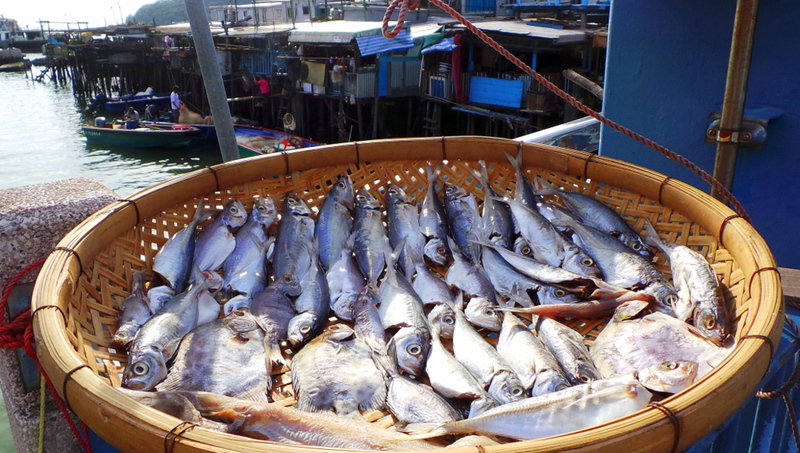 In it’s heyday during the 60’s and 70’s, Tai O Fishing Village was busting and had a population of around 30,000 – 40,000. Now the population is around 2,000. 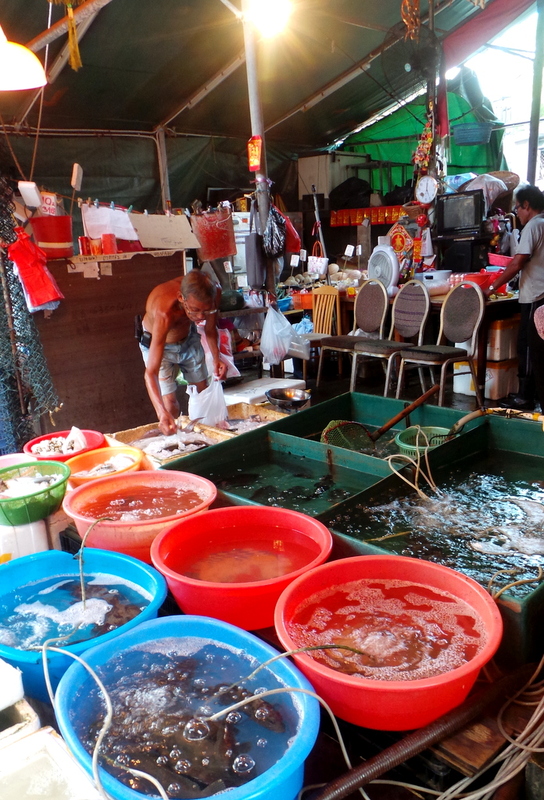 Soon as we reached the village, I braced myself for the seafood and fishy aroma. 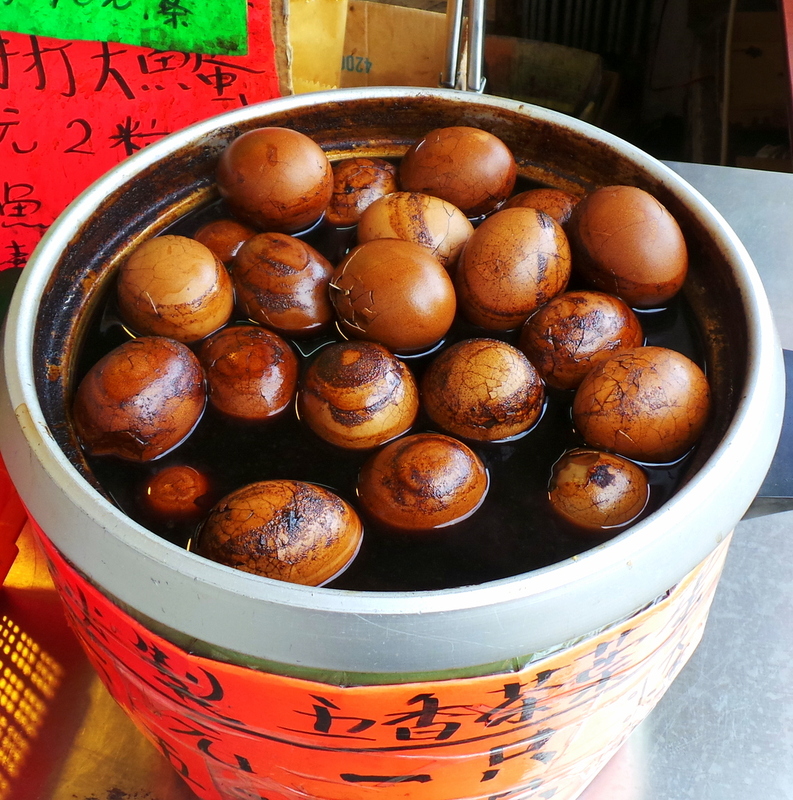 Yes it was these tea eggs that first greeted me. 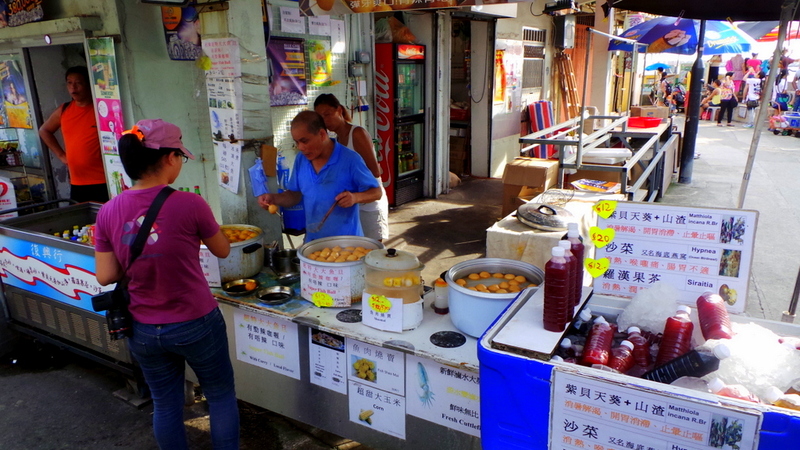 I noticed that Tai O was quite abundant in streetfood. With narrow roads and the island being small as it is, I felt there was an unproportioned ratio between streetfood stalls and tourists/buyers. 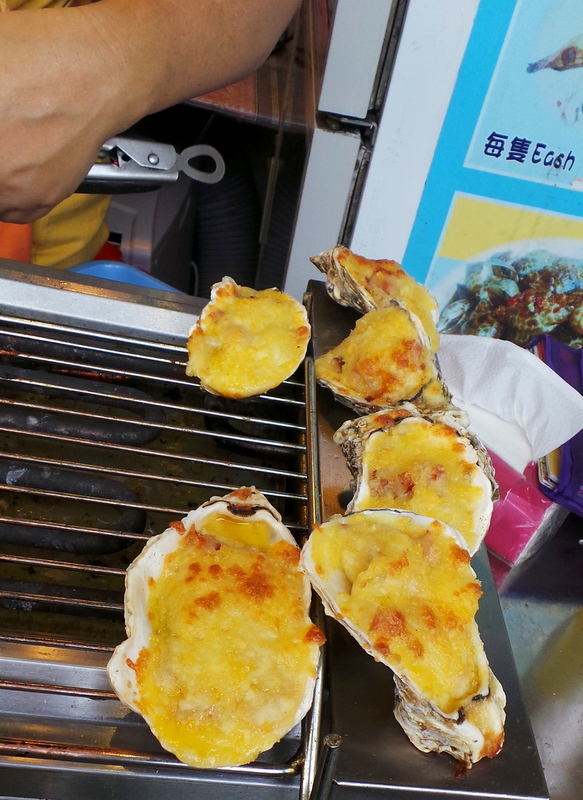 Though I didn’t have any, I love that Tai O’s street food seemed healthy and none were deep fried. 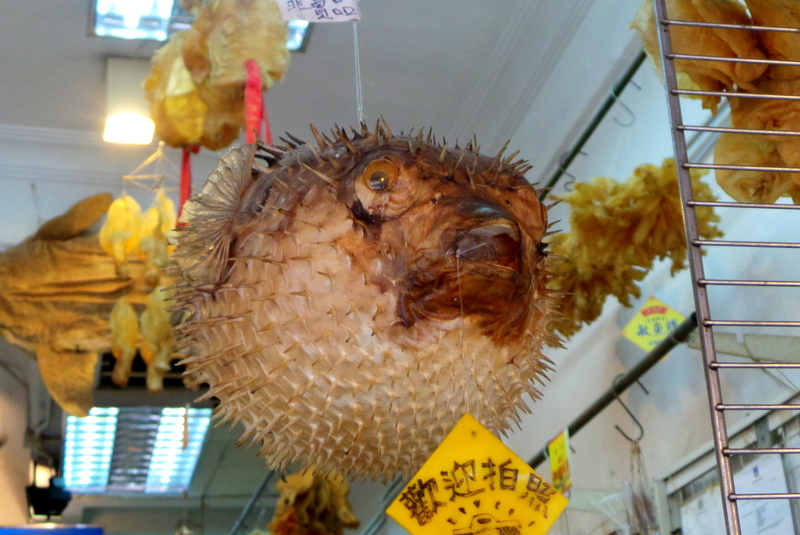 Seafood poshness in Tai O! Anyhow, I’m not really fond of dried anything. I like things succulent and drying food takes the fun away from eating it. 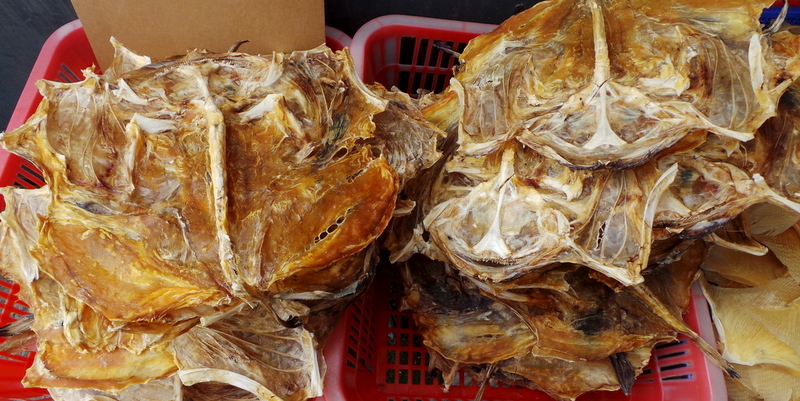 Though for practicality, this method has been used to keep food longer. 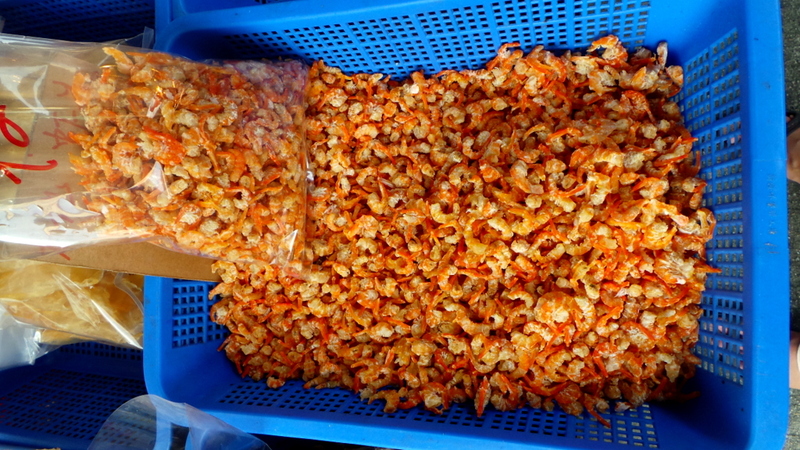 But here’s more dried goodness to those who like them. 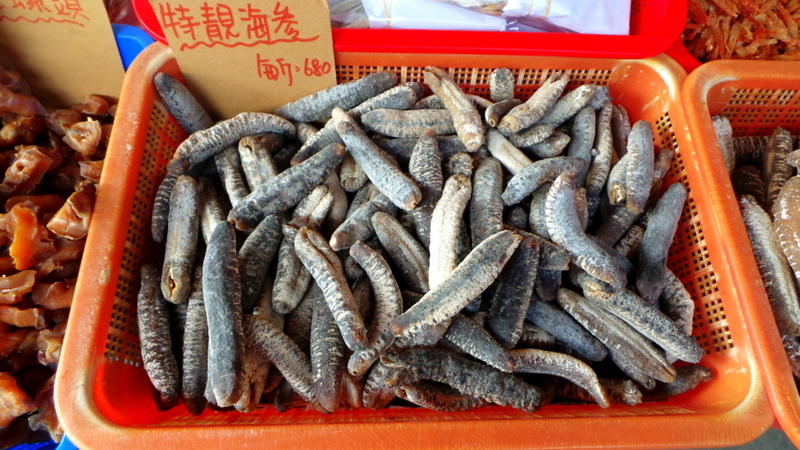 And there were also the “fresher” variety, a mini wet-market type. Again there seemed to be more vendors than actual buyers/visitors. I shuddered with every step walking down that alley. Inside I was furious. 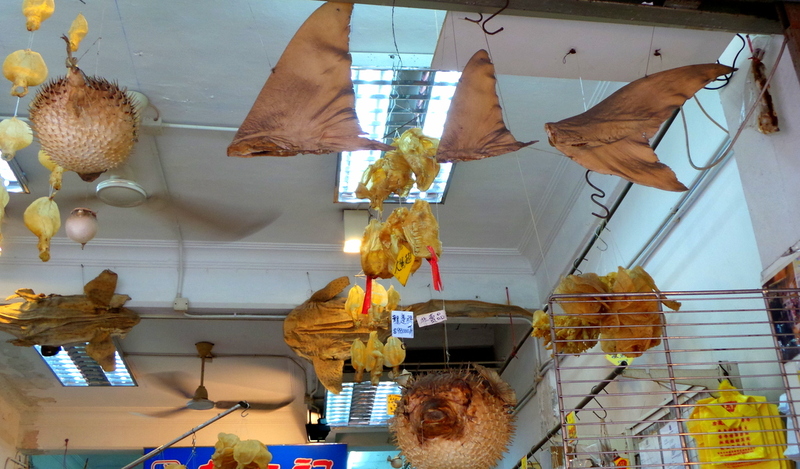 Entire bodies of sharks were hanging like trophies. In many ways it brought back feelings of when I faced the hunting culture of mid-west America HERE. 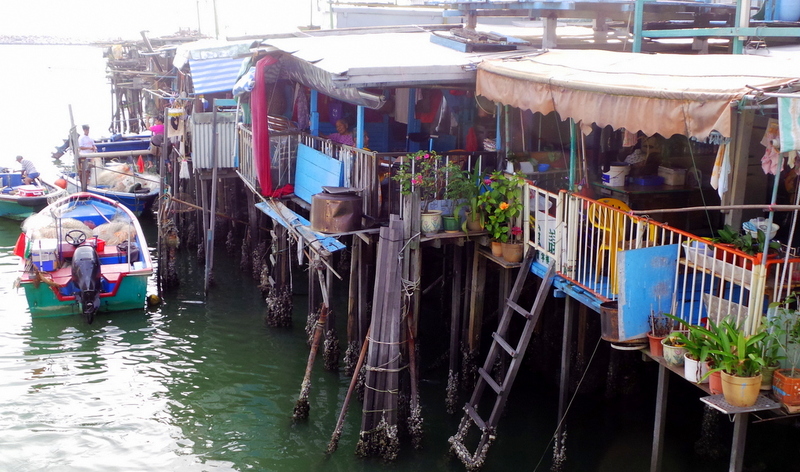 It’s no Venice but the houses and restaurants on stilts sure were interesting. It felt like being in parts of Cambodia. 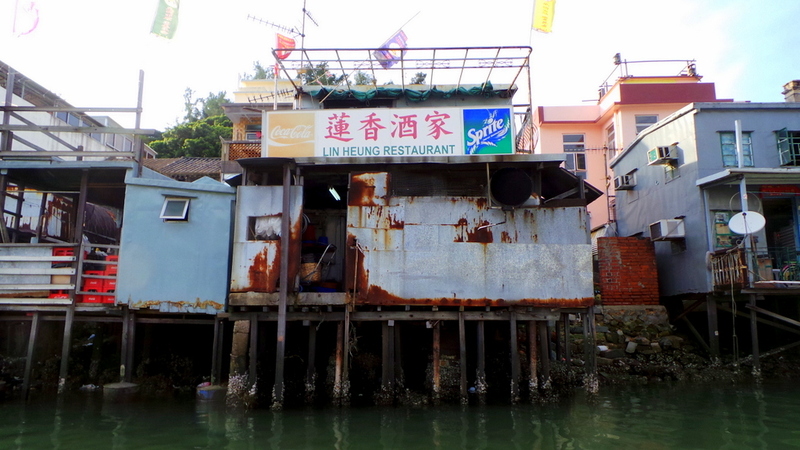 Someone told me though that they had the best seafood in all of Hong Kong somewhere in this village, in one of the rusty restaurants. It must be low season or just a slow day but there really were far more things to be sold than people in the village. It was a pretty quiet afternoon and some stalls were even unmanned. What a bargain! HKD 20 only. 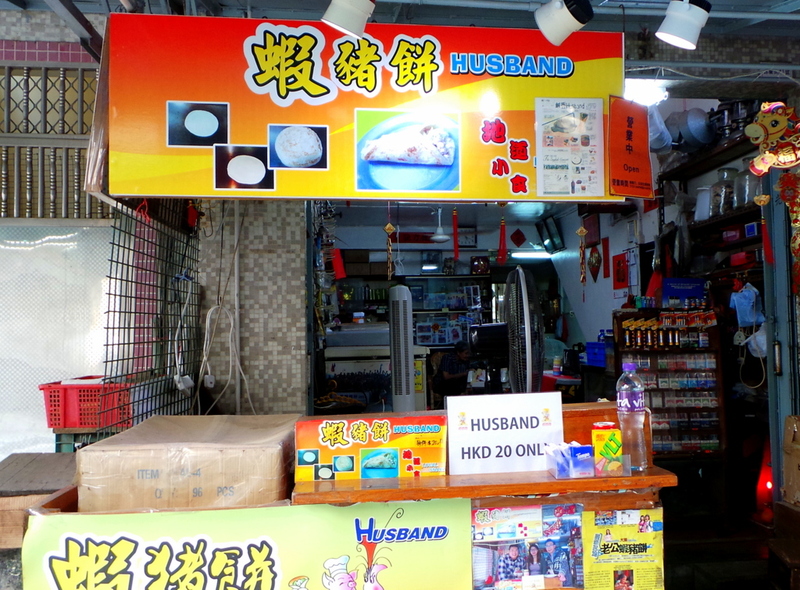 It looks like the “husbands” were eggs – just judging from the board photos. From “Grow-a-dinasours” (ones where you soak in water) to Hatch-a-husband, we’ve come a long way. 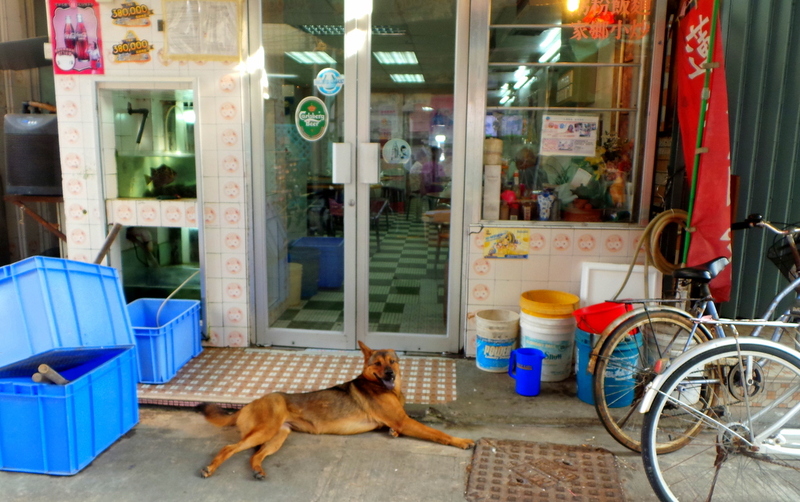 This healthy looking dog looked up at me briefly, then promptly put its head back down to sleep. It’s one of those long lazy afternoons. Even though this ‘other side’ of Hong Kong wasn’t exactly bustling, I’m still glad that I was able to visit it. It won’t be long till this whole island will be developed. (there will soon be a bridge connecting Macau to Hong Kong and this is where the Hong Kong side of the bridge will be). 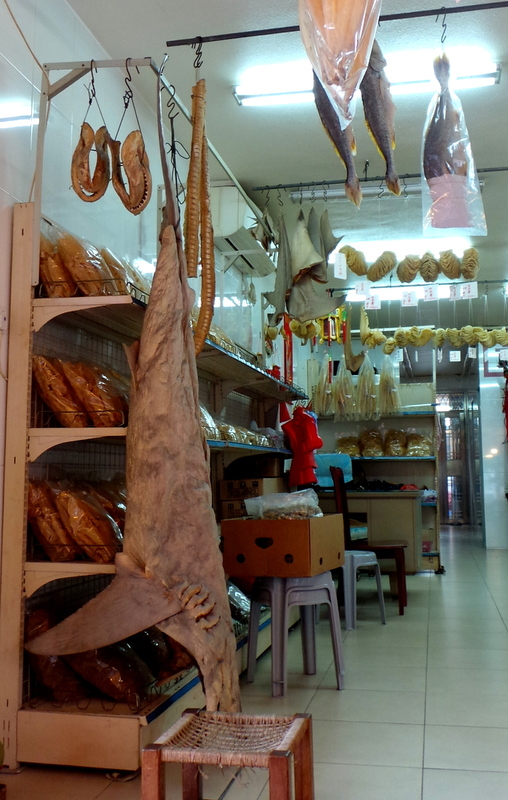 After all, this is how sophisticated Hong Kong started out – as a fishing village. Fishy business aside, are you more of a city or country-side person? I’ve lived in the city too long that I dream of the peace and tranquillity of thee countryside. My husband thinks after living in Dubai for 8 years, I’d be bored in the smaller places. I want to prove him wrong. I want to move to New Zealand even if it’s only sheeps and green hills I’ll see every day! Well, that’s certainly another side of Hong Kong… he boat trip looked particularly interesting… and the slow pace must have been a relief. I also find large animals strung up rather challenging… and in fact I have recently been feeling that any fishing with hooks is a bit too hideous… nets much better… anyway, good to see this side of the island before it goes. I visited Tai-O Village about 3 years ago and I loved it. 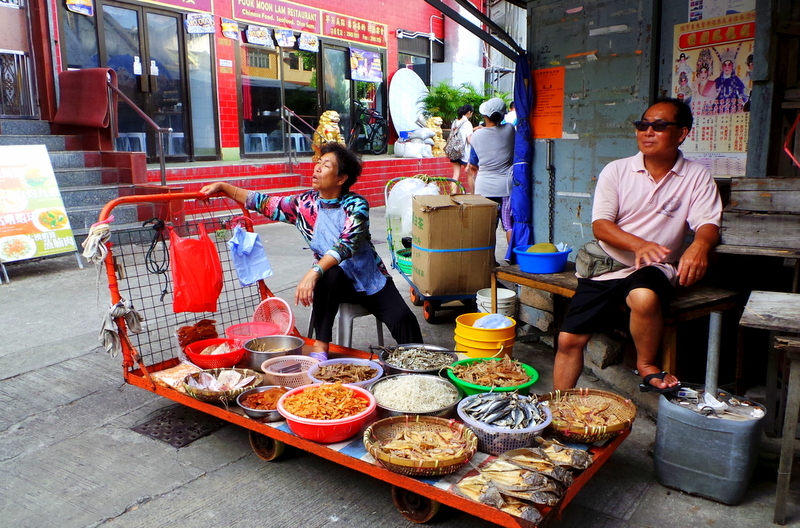 Tai O is a small fishing village on Lantau Island in Hong Kong but very popular place to visit for both locals and tourists.